While most people planned their summer vacations, hunted for jobs, or prepared for visits to the beach and swimming pools, North Vancouver resident Benjamin Last was planning the adventure of a lifetime. Having recently completed most of his studies at Simon Fraser University in Burnaby, B.C., he wanted one last big hurrah before moving into the working world, and decided on a journey that was less about him, and more about helping others. In early May, a housing complex in North Vancouver called River Woods burned to the ground, leaving homeless at least 26 elderly, single parents, immigrants and families with limited income. The fire was devastating; and Ben decided something needed to be done. Since 2008, Ben has worked with a number of community outreach organizations, such as recreation centres and non-profits, doing various different positions like teaching rock climbing, working as a youth leader, and assisting in soapbox building in a program de- signed for elementary-aged students. The River Woods complex has always been a place that has stood out to him. The people who lived there had a genuine sense of community — no matter what time of day he passed by, neighbours were out speaking to one another, there were community barbecues, laughter and stories, lawn chairs and picnic tables. He added that it was a genuinely tight-knit community that focused on spending time with each other; something that is not only incredible special, but seems to be even more rare to find in the hustle and bustle of modern life. 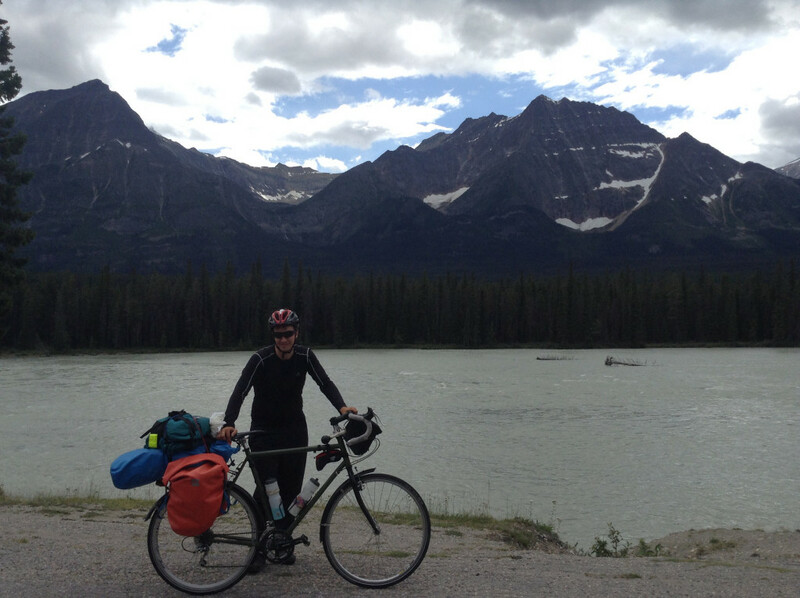 Through a series of coincidences, planning, and brainstorming, Ben’s Canada-wide trip turned into a bike trip, which became the fundraising vehicle to allow him to start focusing on helping get the displaced families back into their homes. raise awareness about the cause, and experience parts of Canada and people he never would have encountered without the journey. 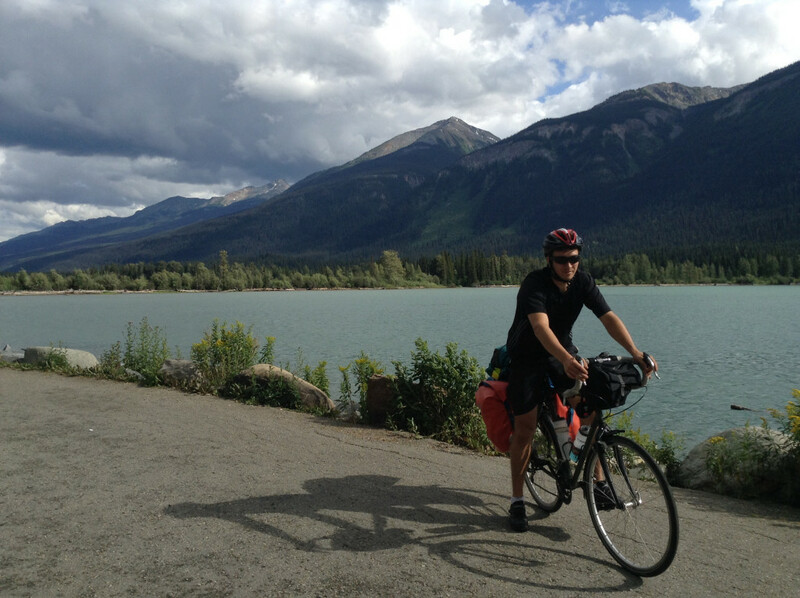 He added that biking across Canada has been one of the most challenging things he has ever done, mentally, physically and emo- tionally. He had to purchase eight extra tubes during that time, and Ben explained that the stress of it was probably the hardest thing he went through on the journey so far. But with the constant generosity of strangers, and the reminder of what the ride was for, Ben found his strength and continued on the journey, witnessing some pretty incredible sights. When he first entered Saskatoon, he was told by someone that travelers could request permission to camp outside the Vis- itor’s Centre. He made it there just before closing and was granted permission. Last Saturday, Ben posted that he had finished his journey through Quebec and was on his way to Fredericton. So far, Ben’s Ride for River Woods has raised just over $4000 of a goal of $26,000 to see each of the families returned to their homes. As more people have become aware of the reason of Ben’s journey, more people have contributed, whether financially or by help- ing to spread awareness. On the campaign website, where people can make donations, an update was posted a week ago confirming that thanks to the fund- raising efforts and work to restore the units, several families have been able to start moving back in. Ben hopes he will complete the ride in early October, before returning back home, and that his mission will have helped encourage enough people to assist the families through their fundraising efforts. And while there is still a leg of the journey left to complete, Ben says that it has been one of the most incredible journeys of his life. For more information on Ben’s journey, or to find how to donate to the campaign visit www.rideforriverwoods.wordpress.com.